Welcome to MetronomeBot.com, the free online talking metronome. This site includes 12 different metronomes to help you practice music better. I am currently moving MetronomeBot to my newest site, MusicAllTheTime.com. The metronomes on this site will continue to work until the year 2020, when Adobe ceases to support Flash. For an explanation on this process, visit my blog post on MetronomeBot and Flash. Duple subdivision metronome - subdivides the beat into two equal parts. Great for practicing eighth notes, dotted quarter notes, or any other duple subdivision. Triple subdivision metronome - subdivides the beat into three equal parts. 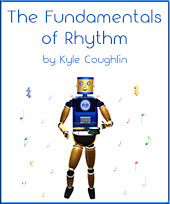 Great for practicing in 6/8, 3/8, or 9/8 time signatures, or for learning triplets. Most online metronomes (including 11 of the ones on this site) use Flash Player to function. There are many advantages to using Flash, but there is one big disadvantage: iPhones, most other smart phones, and tablets do not play Flash applications. 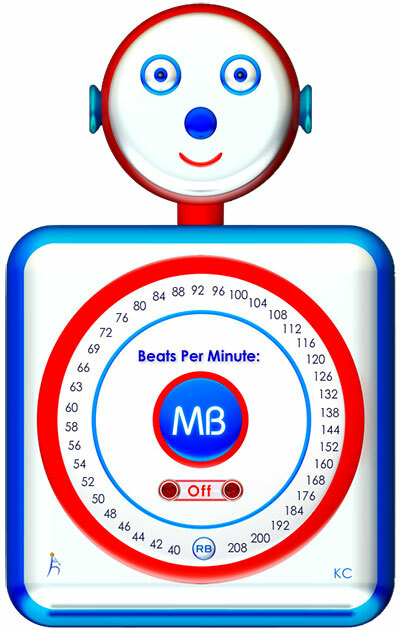 MetronomeBot’s mp3 track metronome is a solution to that problem. Also, try the mp3 track downloads to turn your iPhone or iPod into a metronome. If you are a beginner and aren't yet sure what a metronome is, read What is a Metronome. Also, How to Use a Metronome will give you practice tips and techniques on how to make the most out of your metronome. There are many benefits and advantages to practicing with a metronome. Using a metronome can help you improve your sense of beat and tempo, develop better listening skills, practice more efficiently, and more. Are you looking for a guitar metronome? A drum metronome? A piano metronome? Regardless of the the instrument you are playing, all metronomes provide the same thing: a steady beat to help you practice better. However, their features can be very different. Read the section on What Is a Metronome and How to Buy a Metronome for more information.